Ravenna-based Gestioni Armatoriali will sell four ships from its fleet of 12 before next summer. That’s what is written in the restructuring plan the company controlled by Nicola Coccia, Bruno Castaldo and the Bazzi family produced with the support of the industrial advisor Venice Shipping & Logistics. 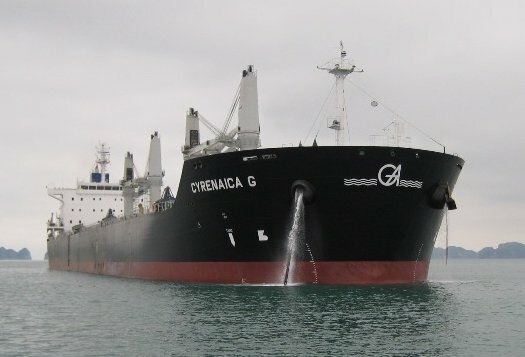 The four ships for sale are the supramax bulk carriers Lusitania G, Cyrenaica G, Pannonia G and Dalmatia G, all built in South Korea between 2010 and 2012. Gestioni Armatoriali’s board of directors has also just decided to file for a concordato preventivo procedure (article 186-bis of the Italian Bankruptcy Law) as financial investors are going to control some 60% of the credits with the banks. The company sought bankruptcy protection a couple of years ago and is now seeking to extend this court protection. Following in the footsteps of Commerzbank and UBI Banca, sources tell Splash that Intesa Sanpaolo is also on the verge of selling to Deutsche Bank and Attestor Capital a non-performing loan which is worth $85m. The company’s overall financial exposure with its lenders stands at $384m as of mid-February 2018.